Have you heard of pHur, an organic cleaning disinfecting agent? Water + Salt + Science became pHur’s magic formula. And thanks to painstaking, multi-year testing, it was registered as a proven disinfectant with the EPA on both Federal and State levels. It is already making a difference in the healthcare industry, replacing multiple toxic products used in hospitals with our alkaline cleaning water and natural disinfecting water. 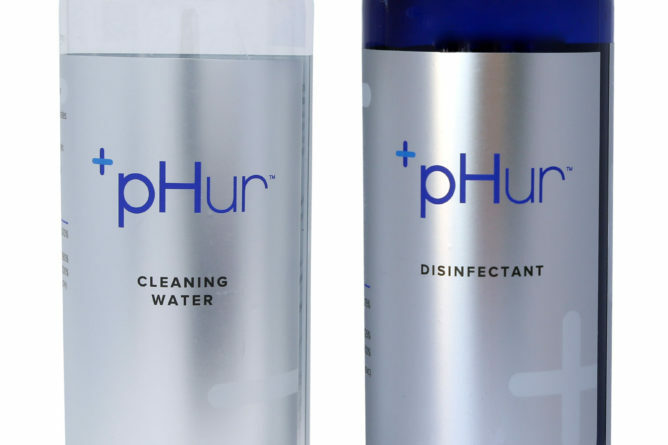 pHur™ Cleaning and Disinfecting Water can be shipped to doorsteps every 30 days, and in select counties, a certified pHur technician can electrostatically disinfect entire households. Both options give consumers the option to live naturally and live clean. It’s the first cleaning agent of its kind and perfect for Winter cleaning. 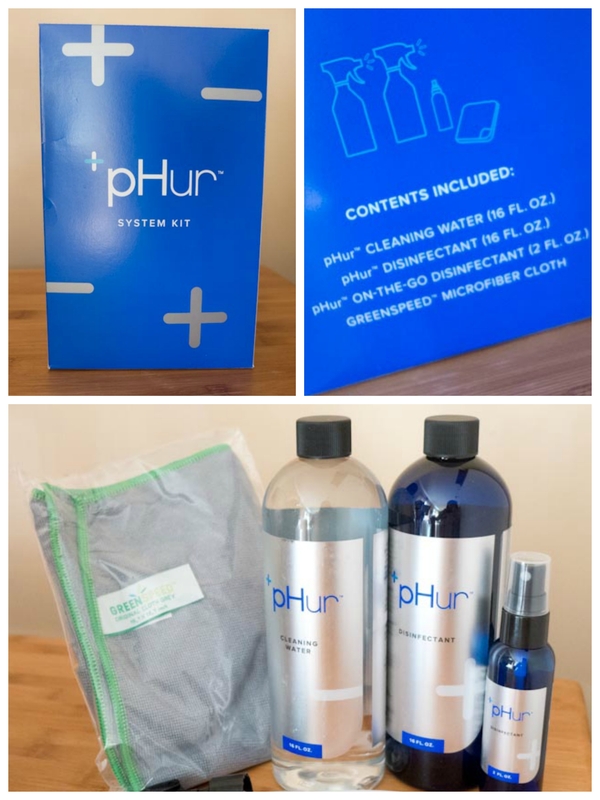 If you’re tired of using those cleaning products that are chockful of chemicals, then you should check out pHur. 2 Sprayer Heads (not in the picture below). What exactly are the ingredients in each bottle? pHur Cleaning Water is high pH alkaline cleaning water without hazardous solvents, phosphates or ammonia. There are no added scents or colored dyes. It’s safe on hard and soft surfaces, leaving no residue. The active ingredient is Sodium Hydroxide. pHur Disinfectant’s active ingredient is Hypochlorous Acid. Both Cleaning Water and Disinfectant can’t be used with acids and hydrogen peroxide. As someone who does a lot of cooking and baking, I used pHur to clean my kitchen countertop, which really gets plenty of action. Imagine my surprise when it worked and it worked well! If pHur isn’t harmful, why does the label say CAUTION and carry the 10-minute dwell time? pHur™ Disinfecting Water has been registered with the EPA under traditional disinfecting standards. Although contradictory to pHur’s all natural makeup of water and salt and its kill-on-contact power, our label must place traditional warnings and directions on its bottle based on the EPA’s standards for toxic, chemically-laden products. 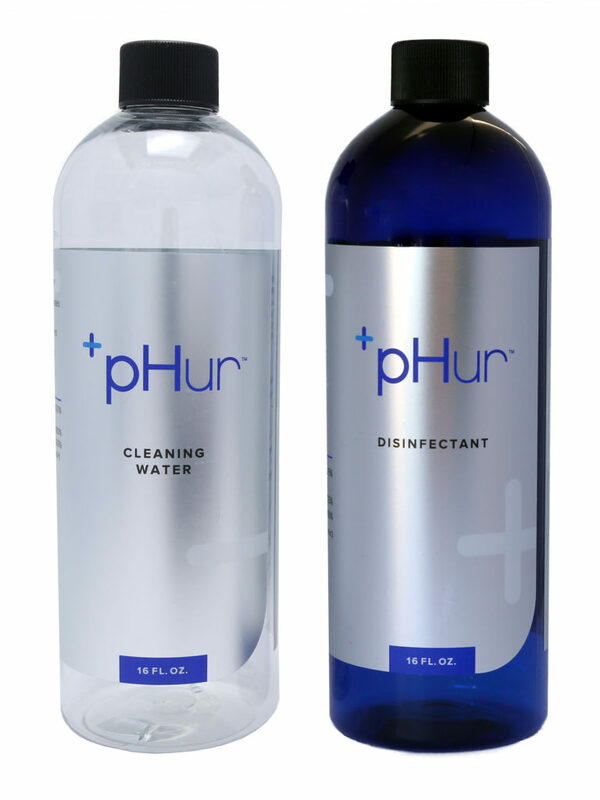 pHur™ Disinfecting Water is THE FIRST disinfecting solution to kill bacteria physically rather than chemically. We’re in desparate need of a new category within the EPA, but until then, we’ll bear the burden of the old labels. Packaging’s recyclable, so that’s a bonus. Unfortunately, you can’t buy it elsewhere because it has a short shelf life – 30 days. It doesn’t have any preservatives that will allow it to stay in shelves for a long time. According to their website, pHur™ products are currently sold exclusively through phurwater.com to those living in AZ, CA, CO, NV, OR, TX, WA. Here’s hoping it’ll be available in the Northeast soon! Disclaimer: A representative for pHur contacted me to review their product. I received a sample in exchange for writing a review on the blog. All opinions are my own.